Just behind the walled garden are various wooded areas overgrown with brambles and scrub. On one side there is a park field grazed by sheep and each spring one or two lambs predictably escape, like all sheep, and tangle themselves up disastrously in the brambles. It became obvious that somehow we needed to clear it back. Simon, the Farm Manager, and I decided that we would buy and rear some pigs. Thus Thelma and Louise arrived and were eventually named. At first they seemed to make no impression on the mess and intertwined scrub but it is a few months on and I can really see the result. It is transformational, especially to the soil. Having named the pigs and put them to work, we then thought we would breed from them. Welcome therefore to Ernie who has been borrowed for a month in order to look forward to some piglets in the spring. The breeding period is very short: they will arrive in 3 months 3 weeks and 3 days from when Ernie mated with them which, naturally, we are not quite sure of, so much of this precision is somewhat lost. Ernie has also made quite an impression on the clearance project but his departure will be a good thing otherwise they will do the job too fast. Already I can see that I will need to think of another area to set them to work on after they have had their piglets but, for the moment, there is good shelter where they are, a ditch with water to wallow, and a hut full of straw when needed. up but I am rather more interested in integrating them back into our cycle of farming and letting them roam naturally without any artificial fattening and forced breeding in confined places. Louise, my PA, was not quite sure how to take the fact there are now two Louises – one human and one porcine. However, she kindly came down to help me feed them and then thought she would try her first selfie with a pig. She need not have worried! It is easy to see why pigs are such excellent animals to domesticate and why they have been farmed in this area for so long. As I have mentioned before there are the remains of both an Iron Age and a Bronze Age settlement at Highclere and many others nearby. Stonehenge lies just 30 miles west of us and two miles north east of Stonehenge lies Durrington, one of the largest Neolithic settlements found so far with perhaps 1,000 houses. Unsurprisingly, thousands of animal bones have been excavated in these settlements, of which some 90% were from pigs with the remainder from cattle. It is so interesting to think that keeping pigs in this area is part of such a long history and hopefully means that my pig venture is more likely to be successful! GREAT IDEA. THE COLORS ARE BEAUTIFUL. The Castle is in such a beautiful setting, it looks like it is buried in the heart of nature. We raised pigs too, but ours were only allowed on 2 acres. The Boys were very friendly, were always curious about new things, and regularly followed us around. They certainly enjoyed all the scraps and leftovers they received, as well as all the pig chow they could eat. I gave them dog biscuits in the mornings with the pups, and I even taught one to sit on command! They also had a fondness for beer, so you may want to see if your girls have the same interests. As always, I so enjoy your blog! Thank you for sharing some of the fascinating things that are a part of such a wonderful place! We haven’t yet tried beer in Thelma and Louise’s diet – they are quiet giddy and funny enough without it! Spent grain is great for piggies!!! It is just trying not to overfeed!! Good luck with your new pigs. Please post photos when the piglets arrive. The first thing that came to mind when you mentioned pigs was where’s Mr. Mason when you need him? Yes – Mr Mason would approve of our pics I am sure! Dear lady Carnarvon, We visited your castle and grounds two times in the last years when we were camping in Oxford. We loved everything there en have very good memories. Of course we saw the series Downton Abbey on tv and look forward to see the movie. And now it is a pleasure to read your blog about daily life in and around the castle. Thank you very much. Another interesting glimpse into life at Highclere. There are so many facets to what you and the many staff do–you should think of yourself as an orchestra conductor coordinating everything. And you even seem to get to play some of the “instruments” now and then. Your comment on the animal bones found at Durrington reminds me of how much we today underestimate the role of pigs in the past. In colonial America families were far more likely to own a pig (or a family of them) than cattle or sheep. Pigs were usually allowed to run free, so you didn’t need to have a lot of property to keep them, and “everything but the squeal” could be used. You are quite right. Pigs have played an important role in rural live for over 7,000 years. This is so interesting. Another wonderful, natural method of using livestock to manage the landscape. Such an interesting blog as usual. We know so little about farming. I look forward to reading your blog to my dear husband each Monday morning as we have our coffee. The photo of Highclere at the end is just lovely. Blessings in the New Year to you and your family and staff. What memories you continue to evoke from my childhood with your stories. Your love for the land and all the adventures of farming, especially pigs, tugs at my heartstrings. Thank you so very much for the glimpses into you and the Farm Manager’s diligent efforts to manage the land with supportive techniques and return a heritage breed to the land. Well-done. Thank you. It is so important to maintain and if possible, improve, the land which gives us so much. So looking forward to seeing the baby piglets in the spring, they are so cute! Hope you have much success with your piggy adventure and Blessings to you for the new year! I had considered getting a pig or two. I don’t have much acreage and hadn’t decided on a breed. I’d want them docile obviously but not high maintenance as some breeds can be. Please keep us posted on Thelma and Louise. I like that you won’t artificially fatten them. I’ve contemplated the tamworth but still need to do more research. Thank you for sharing. Thank you so much for sharing your adventures and daily life. If I can’t be there physically, at least I can be there in my imagination and my dreams. All the best with maintaining and hopefully expanding your ‘sounder of swine’* on the grounds. The piglets are going to be so cute! Kudos for supporting what looks to be a great heritage breed of pigs. I hope you, your family an staff have a great week. Thank you – a sounder of swine sounds wonderful! This story reminds me of a time when a local farmers pig got loose in our neighborhood. It was greeted by my teenage son and his friend. We fed him apples, trying to figure out where he came from. He proceeded to start rooting up my backyard in very short order which my teen and his friend thought quite amusing. Before he destroyed the backyard, I asked them to shoo him back in the direction he had come. They shooed him along through the woods till they came upon the farmer who was looking for him. I was amazed how quickly a pig could root up and clear an area. Good luck on clearing up all the brambles that are needed. Thank you also for sharing your stories and photos with us. They are remarkable – they not only eat the vegetation on the surface, but burrow down and remove the roots. I am sure this is why they are used for truffle hunting. 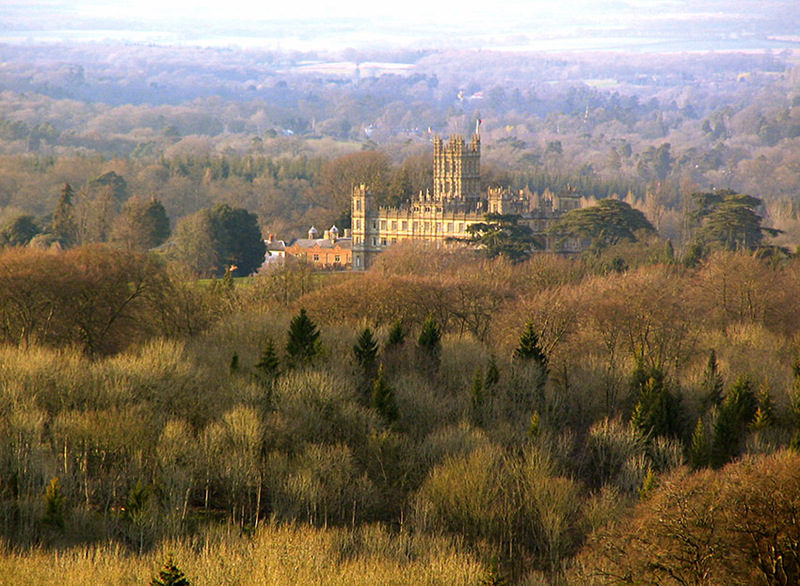 You can walk to the top of Beacon Hill but directly not from the Highclere Estate. You would need to drive to the designated car park (only 5 minutes away) and ascend the hill from there. Much luck on you new project. I hope the pigs names do not mean that they will get into trouble like the movie Thelma and Louise. Beautiful picture of Highclere in the winter. We hope not, just that they will be best friends. I enjoy your column and it is always such a treat when I am having morning coffee to discover you have written a new one! Frosty morning here in North Carolina today and I can see you were out tending to the animals on a frosty morning as well. I have been to England many times but never to Highclere and hope to plan a trip there soon. This new year I plan to start trying the recipes in your recipe folder on this site. I’m sure my family will be delighted. We’d love to welcome you and your family to Highclere Castle. I just love your stories. So down to earth, your modern day Downton Abbey. XO to you and the pigs! Thank you for such a fun story! So we know that the Chinese New Year 2019 is the Year of the PIG, yes? (Last year being the Year of the Dog…for your lovely Labs and puppies). 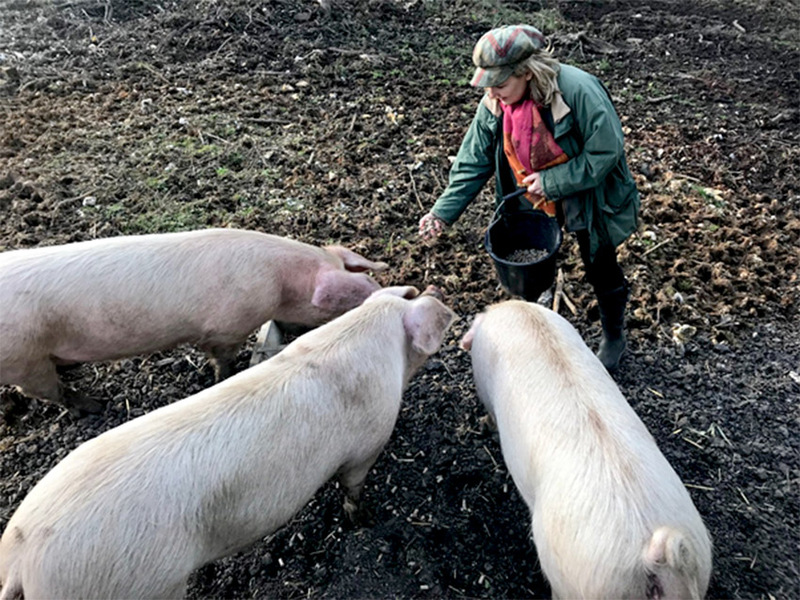 It is most appropriate for Highclere to breed a few pigs, it reminds me of the muddy episode in Downton Abbey , poor Lady Mary getting slopped! Be careful, my lady, not to slip and splat. Well, the pigs seem to be doing a good job of clearing the brambles, and with the sheep out across the grounds, you have Nature’s lawnmowers at work 🙂 I so enjoyed this blog, and the photo of Highclere Castle from Beacon Hill could be an etching or a painting…beautiful! Yes – the pig episode was so funny. I didn’t know that about 2019 being the Chinese year of the pig – even more auspicious! I am reminded of my girlhood with today’s vignett. We only had pigs for a very short time but I am further reminded of scraping the dinner plates into the “slop bucket” which then was taken outside and dumped in the garden. “Slop” a word not used often. Loved it! Reminds me of the “pig” episode on Downton Abbey with Julian Ovendon (whom I have the biggest crush since Foyles War). I’m so excited to come visit this summer!!!! We share the same moral turpitude of returning to the land and treating animals with such great care. 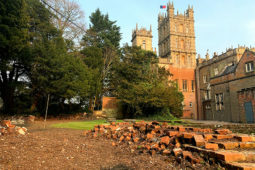 Just found your blog, Lady Carnarvon, and love the candid, natural pics of you and Louise with the pigs, as well as the beautiful view of Highclere from Beacons Hill. Have read some of the responses and see quite a few people from the Carolinas, me included. I’ll be visiting in July and plan to see Highclere for the first time…I’m so excited! Thank you for sharing bits of your life with us and allowing us to enjoy Highclere through your eyes. We look forward to welcoming you to Highclere Castle. I love pigs! I have often played with the idea of getting a pig as a companion for our loopy dog. Alas, hubby decided it would not work for us at our age. But, I love yours and hope for some baby piglets soon! 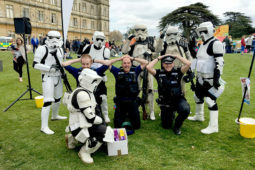 It is like never a dull moment at Highclere —always something going on to keep everyone on their toes! I love reading about it all. A little bit of everything including a history lesson in your post today. Lady C do you ever rest — you seem to be managing and overseeing many things at once! Do take care. This was so interesting! At one point of my childhood in Ohio, my Father decided we needed to raise a few pigs. They were quite entertaining and great garbage disposals! But I had no idea they could groom an area like your pigs have done. Did they eat the brambles? How interesting. Our pigs were in a large pen and it was just grass. So there were no vines or shrubbery for them to eat. I love learning how you use the land to make it work for the estate. It is very interesting. I applaud you! Thank you for making my morning and prompting such happy memories of my childhood! Have you read “Wilding” by Isabellla Tree. They have turned their land back to nature!! How fun to read of your farming technique…I too grew up on acreage and one of my earliest memories are of the chickens and one cow which provided our breakfast each morning. When my father returned from war, he bought a pig but he was kept in a fenced area downwind from our home, fed scraps and garden leftovers in order to fatten and slaughter come springtime. I was never allowed to name him, unlike the chickens and cow. Thank you for conjuring up fun memories and for giving us a glimpse of farm life at Highclere. You live in an very interesting place. And thank you for the education on the raising of pigs! I love the castle. The setting is very beautiful. You are so fortunate. Thank you. I am indeed very fortunate. You are now doing a hog blog! How delightful! My Uncle raised hogs commercially and would occasionally give my mom a piglet for us to raise. She drove a school bus and brought the piglet home in a shoe box. I played with the little pig that we kept in the house where it was warm until my dad could build a ‘sty’ for it. When the pig reached hog size and was ready for the slaughter I was heartbroken until my mom pointed out to me that my favorite foods all came from pigs. The saying out here is “Everything is useful but the squeal. I am sure that this might offend some of your followers but when you are raised on a farm or ranch then you are less sensitive to the plight of animals and more aware of their usefulness as food . Anyway I do like pigs to this day and if I could I would keep one for a pet. Yours are adorable. But what you are going to do with all those piglets is the question as each sow can have up to 12 pigs each. Good luck. I cannot keep the piglets ..
Love the names Thelma and Louise, and Ernie is a “pigamous,” pig. 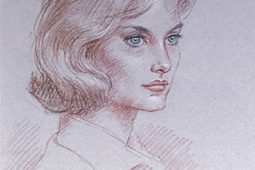 The other night we watched the “Secrets of Highclare,” program. It was very interesting, we learned a lot about Highclere. Does Colin still works at the castle? My husband says he wants to have dinner at Highclere and try the mushroom risotto and chicken curry. You’re really an entrepreneur! Good like with the pigs. I really enjoy your wonderful stories!! Always look forward to Monday’s. Thanks for sharing all of your experiences!! Pleased that you are going to raise your pigs without artificial everything. I’m sure they are thanking you too. Now I’m eager to see all the new babies this Spring. Rebirth and renewal is always a joy…thank you. I feel vaguely chaotic so it is along 3 months 3 weeks and 3 days ! Pigs are wonderful animals! Here in suburban Houston, you’ll find adorable pigs in the pet shop too. Love the names! 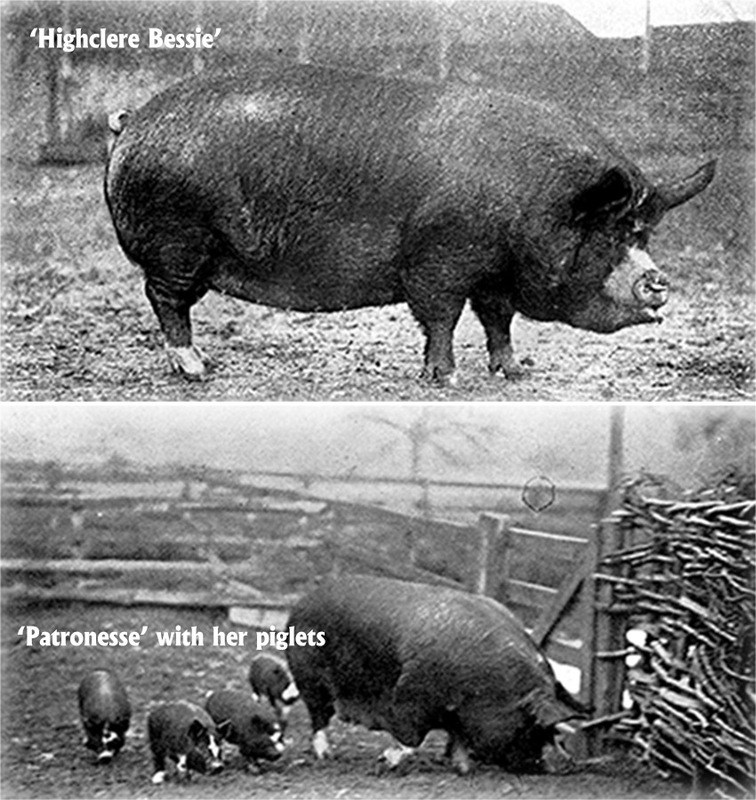 I never knew pigs could or were used in this way, moreover, that Highclere’s history includes the raising of prize pigs! I am a pig lover, so this is all pleasing to know. I’m not surprised to see you out mucking with them, as I would, being an animal lover. 🙂 Their ears are so cute! That is a stunning view from Beacon Hill, with the winter foliage colors. Thank you, once again, for sharing some thoughts, history, goings-on, and the photos! What I love about your life at the Castle is that it is everything from champagne to pigs! And – it is so entertaining to read about! I can imagine that P.G. Wodehouse did not have any difficulties finding good reality stories when he wrote Empress of Blandings – only one exampel! Have a blessed new year – hope you do have some spare time, now and then. Thank you – not yet time for spare time!!! One can’t but love the word “porcine”. In fact the plethora of adjectives and nouns describing pigs have always drawn a smile to my face, be it from “piglets’ through “shotes” (or “shoats”) to “sows” and “boars”. One can refer to a “litter” of pigs, but I much prefer the term, “farrow”. Then there are the words “hog” and “swine”. A female pig that hasn’t had piglets is not a “sow”, but rather a “gift”. And then there are numerous breeds, which I will refrain from mentioning here. The writers of “The Simpsons” have long had a love affair with “the pig” – from the well known “spider pig” to the little known fact that ‘Homer’ wore pig “bride and groom” cuff links on his wedding day. The Springfield College’s mascot is a pig in a letterman sweater. In the ‘Springfield Peewee Hockey League’, the arch rivals of the “Kwik-E-Mart Gougers” is a junior hockey team called “The Mighty Pigs” (being a parody on Disney’s “Mighty Ducks”). Despite Homer’s disbelief of bacon, ham and pork chops coming from the same animal, he was correct in calling pigs “a wonderful, magical animal.” They also are adept at locating truffles. Finally, good luck and best wishes with the breeding and clearing. PS A belated, but no less sincere, “Happy New Year” to you and all fellow bloggers. Thank you ! ERnie is borrowed so not name by us but I remember the Ernie the milkman song!! I saw Babe and very much enjoyed it!! How wonderful to read about the pigs! We had two pigs on our farm in Victoria Australia, Agnes and Maude. We got them as tiny piglets and grew to be absolutely huge! We had a big pen for them and we could ride them like horses as we let them roam free at times. Often they would escape and we would find them asleep at the back door waiting for us to come home from school even though they could easily have run out the front gate! We loved them! They are a new adventure for me! I absolutely love reading your blog. You choose interesting and even whimsical topics such as this and tell your stories with such enthusiasm for the land, the home, and the history. Just wanted you to know that I very much enjoyed reading your book “Lady Almina and the Real Downton Abbey”. Additionally, your book “At Home at Highclere” graces my living room coffee table–a Christmas gift from my husband a year ago. I love your recipe for Chocolate Pots, which I have made several times for our dinner parties. I only wish I could buy cream in the right proportion here in the US. My crazy mix of milk and cream to get the fat percentage just right is a bit comical! Also, I find that the end product poured into ramekins is not perfectly smooth (but still very tasty). Is it supposed to be that way? I look forward to visiting Highclere sometime soon. Thank you – if it tastes yummy it is perfect. Almina was an amazing book for me to start with – something of a baptism of fire, but what a woman I feel so lily t have told some of her story. I am sitting struggling late into the night here with more book deadlines!!! 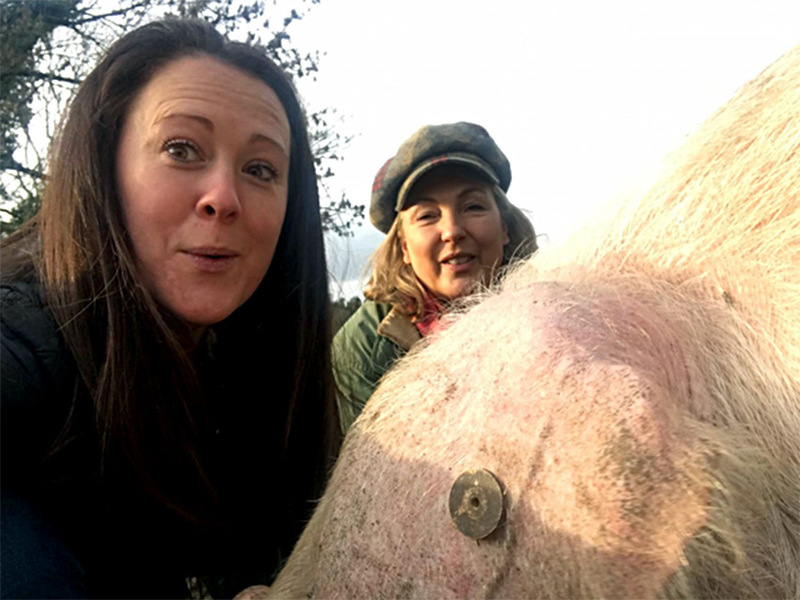 If ever I return to Highclere Castle I’m going to leave my fascinator and heels behind so that I can help feed Louise-the pig- too! #readytowork!! It’s so Downton Abbey to get the pigs and raise piglets. Perfect way to clear the land. This story took me back in memory of our 3 own piglets, Pam, Pete, and Paul, (we named after our neighbor’s kids!) which my brother, sister, and I raised inside in our house (in the middle of town) inside our warm utility room (they also roamed the whole house) until they grew large enough to take to our great grandfather’s farm only a few streets away. Pam, Pete, and Paul were great pets–so tame and we loved them, as they loved us back. One day our great grandparents gave our family some extra ham. Sitting down to supper together, neither my mom, dad, or any of us kids could bring ourselves to eat even one bite! We also raised chicks till they grew to be chickens, and several rabbits before we adopted our cats and dogs. Children and animals growing up together create warm and natural friendships. That is such a beautiful photo of the castle from Beacon Hill and I look forward to your lovely blogs! YOU NEVER CEASE TO AMAZE ME WITH YOU CREATIVE BLOGS. THANKS. LOVE THE PHOTO OF THE CASTLE FROM BEACON HILL. I just started following your blog and I was late to the party to watch “Downton Abbey”. That being said I love the stories, the history and the humor as you write about life living in one of the world’s most beautiful and historic homes. I have been privileged to live in a 1792 cape, an 1889 Queen Anne, a1962 Mid Century Ranch and a 1928 Bungalow and learned that we are not really “owners” but caretakers of pieces of history which should ultimately be preserved and passed on to others to continue the life of these homes. Thank you for sharing your journey with us. Thelma and Louise are lucky to be welcomed there and I cannot wait to see piglets ! Wishing you a happy and healthy new year from NYC. Pigs are very intelligent creatures and many love to romp and play just like dogs. They are really very sweet ! The photo from Beacon Hill is absolutely beautiful !! So enjoy your blog and really enjoy this one. I loved seeing and hearing about your pigs! They look similar to another old English breed, the Large Black except for the color, of course. 🙂 We raised Large Blacks (our first two were Natasha & Boris) and also Gloucestershire Old Spots for several years and while both breeds were lovely, the Large Blacks were our favorites. They were such sweet-natured animals! When Natasha had piglets, she had no problem with me crawling into her hut (looked like a miniature quonset building) and drying off each baby, then moving it under the heat lamp to make way for the next one. I was a little hesistant the first time around, having grown up with my dad’s Yorkshire and Chester Whites who were often less than keen at having anyone handle their piglets, but Natasha was so gentle. Boris was also a gentle boy, weighing around 500 pounds or so and both could be moved down the lane to another pasture by our 6 year old grandson with his little stick. Poor Boris came down with an illness, though, that we and the vet could not cure. He was so sick, and was getting shots every day, to the point where any other animal would have run from us but instead, he did his best to get up to greet us each time and took the injections with a stoic patience. At the end, he got down and there was nothing more we could do for him except give him relief from his pain. My big 6′ 4″ farmer buried him down by our woods, then sat by his grave and cried. The other pigs were all enjoyable but Boris and Natasha were special. When we ended up selling off the entire herd, we kept old Natasha as we didn’t want to think of her being stressed so much at her age but the strangest thing, the day after the last of the others were loaded and gone, we found Natasha lying in her hut, gone forever. I hope you enjoy your pigs as much as we did ours and know you will love seeing your piglets when they arrive! I do so enjoy reading your blog and picturing some of the experiences you have there. Thank you for sharing your life with us! I will be ready with photos of the piglets !!! From attics to pigs, how diverse your day is! Love the names – would that be a Hollywood connection? I think we had a Facebook moment looking for suggestions !! Thank you for giving us yet another glimpse into your life at Highclere. What adventures you have! I so appreciate your plan for letting the pigs wander and fatten up naturally and without forced breeding. It seems the way things are supposed to work when one engages in animal husbandry. Best of luck to you on your piggie project. Thanks for sharing images and stories on Ernie, Thelma and Louise. They are such cute pigs. Love those ears! Your home is always breathtaking! I never get over the beauty & Splendor of the castle, we here in central New York can not wait for the Downton Movie to air. As always thank you for sharing all you have & all that you do. I just simply LOVE reading your blog! I did grow up on a Ranch in Colorado and we had pigs, along with all the other animals. I wasn’t the one working with them the most…but still did show them in 4-H at the fair each year. I remember they were not easy to handle getting in the trucks Ha! I was mostly in charge of the goats with some help, horses, and rabbits. A lot of responsibilities for a kid in school. You sure do keep busy there yourself! I remember a friend trying to ride a pig at about 9 years old. Boy that pig sure taught him a lesson!!! Have you ever read Esther the Wonder Pig on Facebook? It’s a really fun and interesting page…so you may want to check it out. About two Canadian guys who bought a mini pig who turned out to be a major pig!…and all they have been through and go through. Good luck in your ventures and looking forward to seeing the little ones and hope the natural munching and grazing keeps things under control for the sheep. It is always such fun to read about your adventures, especially the piggley wiggley one! All of you are so down to earth, which gives us “commoners” a chance of fun adventures in our every day, hum drum lives. Thanks so much for sharing even the “muddy” joys of Highclere! I was down there yesterday and spent some and found some of their soft spots, were they really like a scratch.. I realized today during my walk I hadn’t been receiving notice of your blogs. I’m not sure how the connection was lost, but I have signed up again and it’s great to be back. The picture in your most recent blog of the ramparts near Highclere reminded me of my trip to England with my son in 2016. After visiting Highclere we went to Stonehedge and on to Avebury and then to Bath for the night. 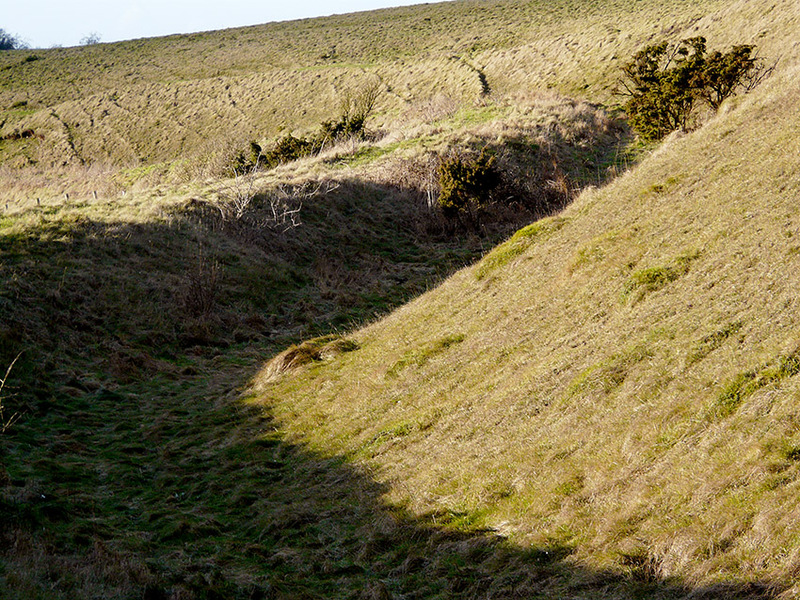 The next day we headed to the Uffington White Horse and the remains of a defensive hilltop that had the same style of fortifications. It’s all so very fascinating to me. I can’t wait to get back. I look forward to reading your blogs regularly again. Love reading your blogs but would love visiting Highclere so much. My husband has mobility issues and uses a scooter to get around where lots of walking is required. Could this be used on the grounds of Highclere? He can use a cane when walking around inside the castle. He is like others – not a problem.. Thanks for sharing with us, the castle photo is so beautiful. My sons raised pigs, here in Texas, when they were in school, they are amazing animals. We went early before school to the pens to feed, and one son kept worrying as his pig seemed to not grow very much. So, one morning, he and a few others waited (in some hidden spot, I think) to see if the pig was eating the food left for him, and one of his classmates climbed over the fence, took the poor pigs food and gave it to his own. So! The case was solved, the pig was now saved, and was not grand champion, but no matter! Taking care of animals was good for my sons. They grew up to be wonderful men. Have fun with your pigs.